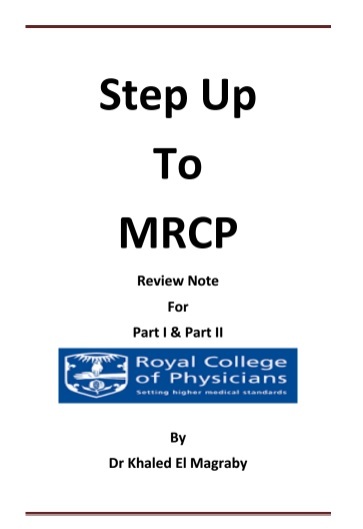 Dr Khaled Magraby MRCP Notes also known as Step Up to MRCP Part 1 & 2 Review Notes by Dr Khaled El Magraby are one of the most popular MRCP review notes on the internet. Dr Khaled Magraby MRCP Notes have been written in an effort to provide aspiring doctors important pearls in the Internal Medicine and high-yield knowledge for the preparation of both MRCP Part 1 and MRCP Part 2 exam. One of the compelling reasons that why you should trust these review is that Dr Khaled El Magraby has used rich and authentic material in creating these high-yield MRCP Part 1 and Part 2 notes. These sources include PassMedicine, OnExamination, and Pastest. Today, in this article we are going to share with you Dr Khaled Magraby MRCP Notes PDF for free download. Dr. Khaled El Magraby is a Specialist of Internal Medicine & Nephrology (M.Sc. Internal Medicine) from Cairo University, Egypt. He also provides his valuable services as an Assistant Researcher at National Research Center, Egypt. Dr Khaled Magraby MRCP Notes for both MRCP Part 1 and MRCP Part 2 are high-yield and totally exam oriented notes and so are highly recommended to doctors who aspire to take the MRCP Exams. 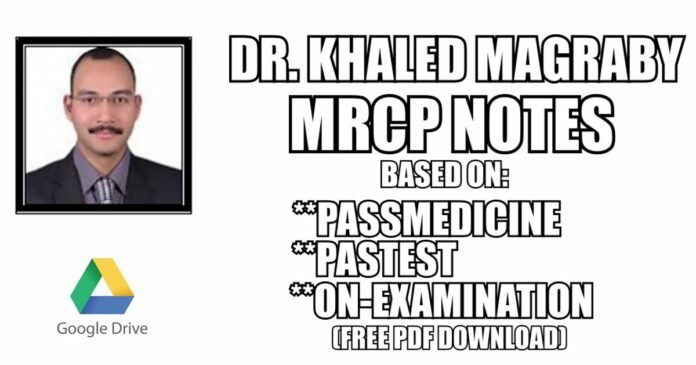 Here you will be able to download the Dr Khaled Magraby MRCP Notes (also known as Step Up to MRCP Review Notes) in a .pdf format directly from a Google Drive repository.